But what is the difference between the kind of work which is an obligation and a chore, and the work that fulfills the spirit and the mind? First, it is important to realize that work in a Montessori environment is not forced on a child, but is instead freely chosen. 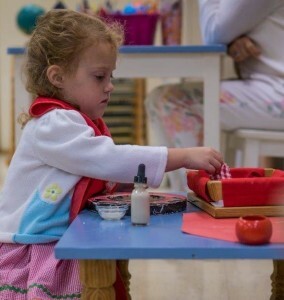 A Montessori environment offers the child the liberty of choosing their own activities, and they have consistently, and independently, chosen work that serves a developmental purpose. Through this work, children show an ability to concentrate for long periods of time, a propensity for repeating an activity until a certain skill is mastered, and the urge to make the maximum effort on any task. Additionally, children demonstrate a great sense of joy while performing their work, and indicate that they want to learn how to be a help to their family or community, and contribute with the skills and the knowledge they have acquired. In order for work to be an enjoyable experience, however, it needs to engage the whole personality, as it is then that the child can experience, “… the kind of pleasure and satisfaction that results only when basic needs are gratified,” (Mario Montessori, Jr., Clio, 1992). 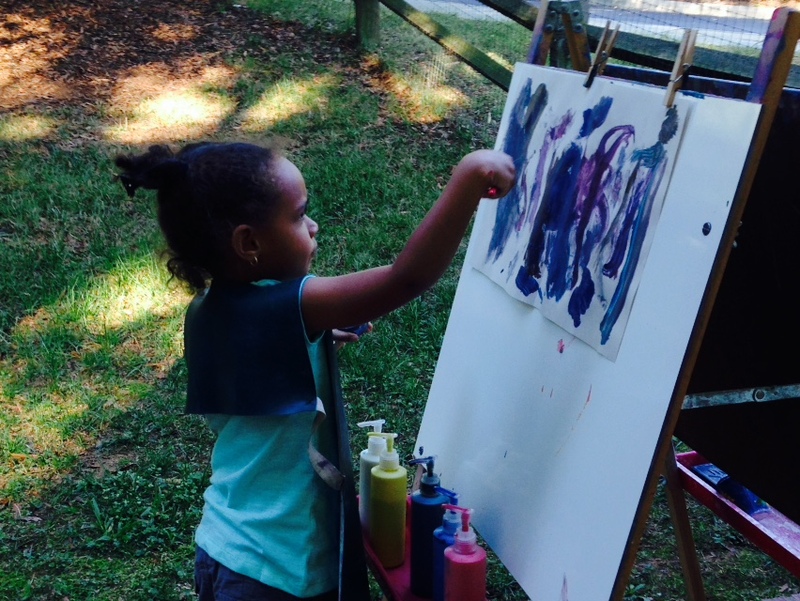 Differently from adults, a child performs a task not for the end result, but for the process itself. For example, in working with the Dressing Frames, and in learning how to tie bows, the child concentrates on a task that is helping him refine his fine motor skills, giving him independence from having to ask an adult to tie his shoes, and challenging both his fingers and his mind to complete the task at hand. In this simple activity, the child is able to integrate his personality, as the work addresses the development of his physical, emotional, and intellectual self. Also, work in a Montessori environment always has multiple purposes, as one activity will indirectly prepare the child, and set him up for success, in other areas (of both the classroom and of life!). For instance, the child does not learn to wash a table merely so that it will be clean, but because learning to follow a complicated series of steps will help organize his mind, leading to the logical and ordered thinking required in the more advanced mathematics materials. Later, having a mind that can bring order out of chaos will help the future adult become an engineer, manage a company, or do his taxes! And it is imperative that the child is exposed to this kind of work before he is 6 years old, since this is when he is still forming his personality, and his mind. In this way, the child has the chance to be an organized person, as opposed to someone who realizes they need to be organized, and forces themselves to learn. work: (verb) to carry out a purposeful activity that fulfills an inner purpose, and helps the person integrate his mind, body and soul.